PLEASE NOTE: You should follow these steps in order to connect a domain with your Blogger website. - Sign in to your Namecheap account. 3. 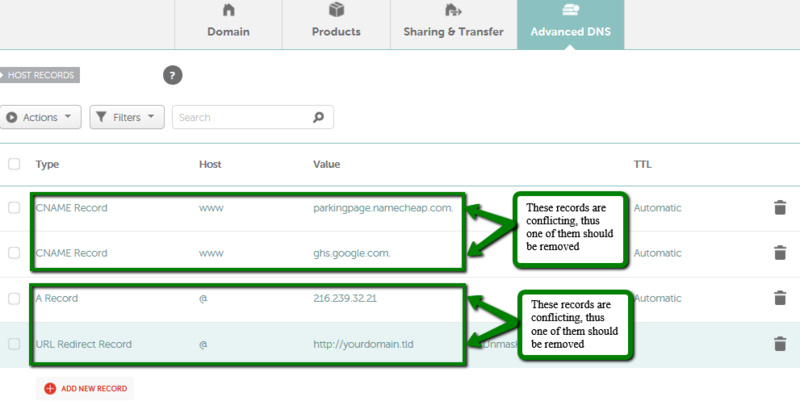 Please ensure there are no conflicting records (A, CNAME, URL redirect records with different values but set for the same hosts) for your domain. If there are any, you will need to remove it. NOTE: It can take approximately 30 minutes for newly-created host records to take effect. If you have any questions, feel free to contact our Support Team. They're available 24/7 for you.